Solid Foods / Baby food: Homemade or store-bought? Baby food: Homemade or store-bought? 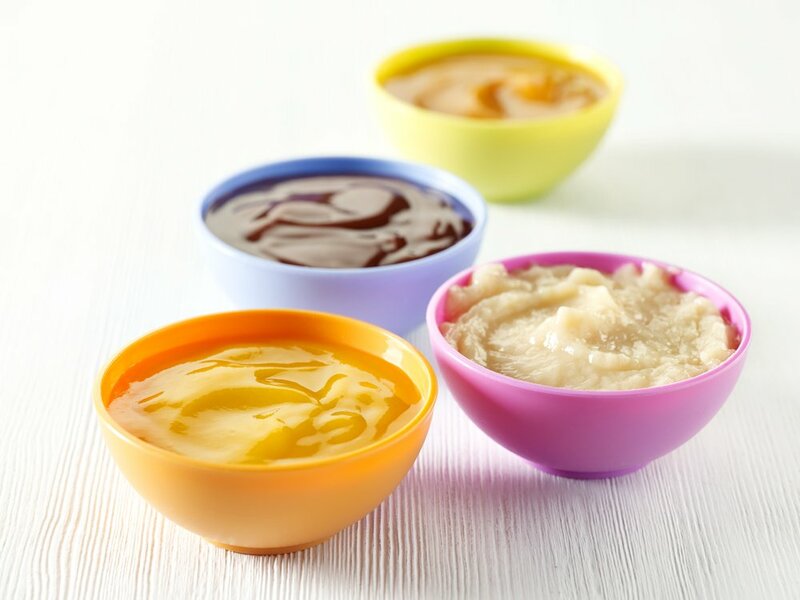 Since you are new to the world of solid baby food, you might be wondering whether you should prepare the purees at home or get the ready-to-eat jars from the supermarket. The truth is that there is no right answer; you can do either or even combine these two options. Prepare food at home is a wonderful way to feed your baby, because it presents food in its freshest form. However, sometimes it seems like an impossible task. It is made with natural food. It doesn’t contain sugar or sugar substitutes. It has low or no sodium. Most baby food you’ll find in the supermarket is of excellent quality; just check that they meet the requirements stated above. Buying baby food in the supermarket offers a convenient and very practical way of storage. Likewise, it’s a huge help anytime you don’t have food and are traveling or out for a walk. With this in mind, pediatricians recommend that you feed your baby with ready-to-eat jars occasionally, to get him used to the taste and to prevent him from rejecting it when it is the only option. On the other hand, if you always buy baby food, every now and then try to give him homemade food in order to get your baby used to eating it with your family. As a final advice, serve the portion of food your little one will eat in a separate dish to prevent contamination of the food that he did not eat. That way, you can store the remaining food in the refrigerator for 48 hours and use it for another meal. Weaning: What foods should I start with?